Vietnam’s impressive economic growth went hand in hand with increased greenhouse gas emissions and emerging environmental problems. The country has chosen for a greener future. Belgium supports Vietnam in this shift. 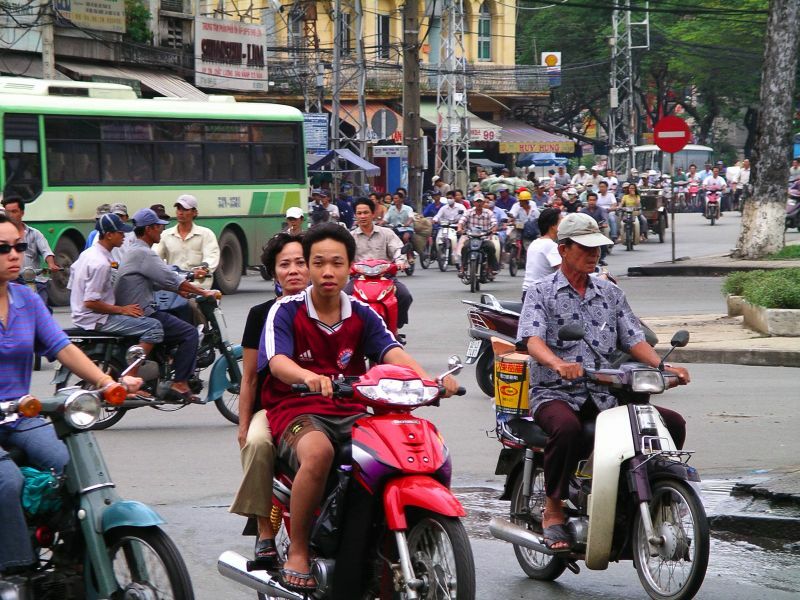 Vietnam has witnessed significant economic growth over the past 15 years (6% to 7% per annum). This trend is projected to continue considering demographic growth, rapid urbanisation, evolving household consumption patterns and industrial development. At the same time new environmental challenges emerge since existing growth relies primarily on inefficient energy infrastructure and natural resources that are easily exploited. Greenhouse gas emissions could go threefold from 2010 to 2030 and thus reach per capita levels comparable to those of European countries. Such evolution would heavily impact Vietnam which is one of the countries most vulnerable to climate change. In addition, the population starts to be seriously concerned about air, water and soil pollution. To address the energy, climate and environmental challenges that the country faces, Vietnam adopted a National Green Growth Strategy. Its three constituent axes are: (1) reducing greenhouse gas emissions and energy intensity, (2) improving environmental performance of industry and developing green sectors, and (3) promoting sustainable lifestyles and consumption patterns in a context of increasing urbanism. The adoption of the Green Growth Strategy also addresses more structural economic issues such as an ageing economic system that is less and less adapted to international competition. 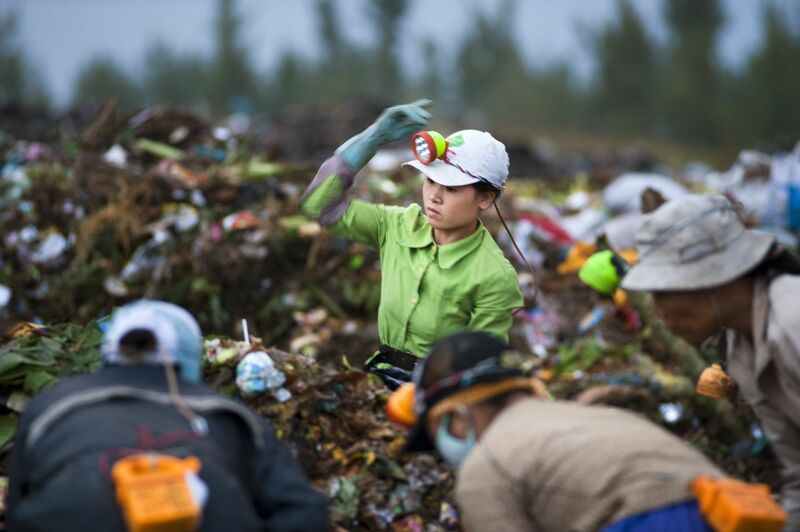 In comparison to neighbouring countries, Vietnam’s green growth objectives are ambitious and broad. For instance, they also cover climate change adaptation and the exploitation of limited natural resources. These objectives are also aligned with Vietnam’s intention to contribute to the global fight against climate change which it submitted at the COP21 Conference in Paris in December 2015 . Vietnam’s authorities have understood very well that climate issues are at the core of the international agenda and that many donors are willing to contribute to country efforts in this domain. With a contribution of 5 million euros, Belgium is one of the first countries to have supported the implementation of the Green Growth Strategy. Belgium’s support comprises the establishment of a Fund to finance studies, training or pilot projects contributing to the implementation of the Strategy. This Fund, which is initially financed by Belgian and Vietnamese contributions, is also to receive contributions from the international community and could play a major role in Vietnam’s longer-term climate financing. 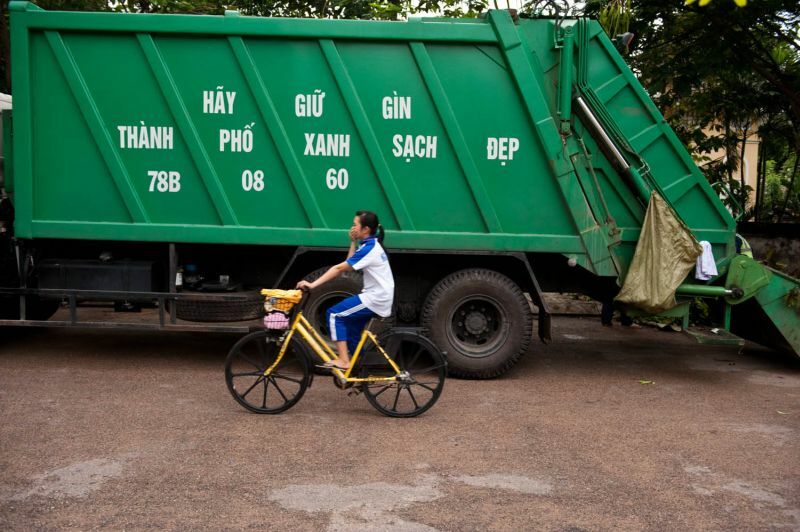 (1) Vietnam targets an 8% domestic emissions reduction by 2030 compared to business as usual (and a 25% reduction if the international community provides sufficient funding). The population starts to be seriously concerned about air, water and soil pollution. The expectations of the Fund are twofold. On one hand, it aims to channel international funds, which requires quality standards and a higher level of effectiveness. On the other hand, the Fund must help finance initiatives that effectively contribute to the National Green Growth Strategy. Therefore priority action domains must be chosen and a transparent selection mechanism must be developed and tested in pilot experiments. The Belgian intervention, which started at the beginning of 2014, first clarified the “field” of climate finance actors in Vietnam as well as the barriers that currently hinder more sustainable investments (behaviours, financing, technical competences, etc.). On this basis, the project team has elaborated the administrative and operational framework for the Fund as well as the governance system that must, among other things, comply with the United Nations’ Green Climate Fund. In terms of priorities and pilot experiments the project accompanies three provinces. It has helped them to elaborate their Provincial Green Growth Strategy by identifying possible emission reduction actions and by quantifying the costs and benefits thereof. Six pilot projects were then selected following the Fund’s procedures. These first experiments cover several sectors (organic agriculture, public lighting, efficient irrigation…). They also match with the main axes of the national strategy and with the needs of the three provinces. The project, which is to end in June 2019, is managed by a Vietnamese team that is based in Hanoi. It is supported by a Belgian expert, who coordinates the activities under the supervision of the Ministry of Planning and Investment. Climate change risks and the energy challenges become more pressing every day for Vietnam and other Southeast Asian countries. More than ever a new living standard is needed ensuring fairness and well-being for all within given environmental constraints. The Green Growth Strategy put in place by the Government is a first encouraging step. It now must be implemented. This will require not only “green” projects but also more consistent policies in other domains in Vietnam, in particular in the domain of energy. The challenge is a major one and expectations are high. The project that is under way aims to both organise green growth financing and to set up the necessary safeguards for responsible implementation. The difficulties encountered are many (overlapping domains, administrative efficiency, coordination with other donors, etc. ), but the first results provide a solid basis for the pilot projects that have just started. Let us hope that this intervention will inspire other countries and will lead to similar Belgian initiatives. GREEN GROWTH: WHAT IS IT? The concept of Green Growth emerged at the beginning of the millennium as a key tool to contribute to sustainable development. Its main underlying assumption is that we can continue to foster economic growth and development thanks to the development of “green” sectors whilst slowing down the depletion of natural resources that we need for our livelihoods. However, the Green Growth concept has also been criticized. First, it is not clear whether global economic growth can be disconnected from its global environmental impact. Moreover, Green Growth is based on a cost-benefit approach which struggles to include all indirect effects, the impacts for future generations or non-quantifiable impacts. Finally, Green Growth tends to insufficiently take into account the social dimension of sustainable development. To remedy these limitations, several approaches have been proposed: extend the basic concept of Green Growth with a social dimension (for instance, with “Green Economy”, “Inclusive Green Growth”) or with a cultural dimension, as many Asian countries have done; combine Green Growth with other complementary policies; or consider Green Growth only as a preliminary stage to a more profound change. However, more holistic paradigms must be considered such as the “New Development Paradigm” which was proposed to the United Nations by the Kingdom of Bhutan. This includes not only many components of the famous “Gross National Happiness” index but also an evaluation method that differs fundamentally of the growth paradigm, in particular by using “sufficiency thresholds” at various levels of the index. This article was originally published in the Belgian Development Cooperation’s magazine Glo.be in 2015 and was updated in 2016.